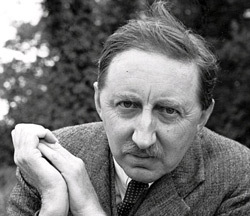 Edward Morgan Forster OM, CH was an English novelist, short story writer, essayist and librettist. He is known best for his ironic and well-plotted novels examining class difference and hypocrisy in early 20th-century British society. Forster's humanistic impulse toward understanding and sympathy may be aptly summed up in the epigraph to his 1910 novel Howards End: "Only connect."